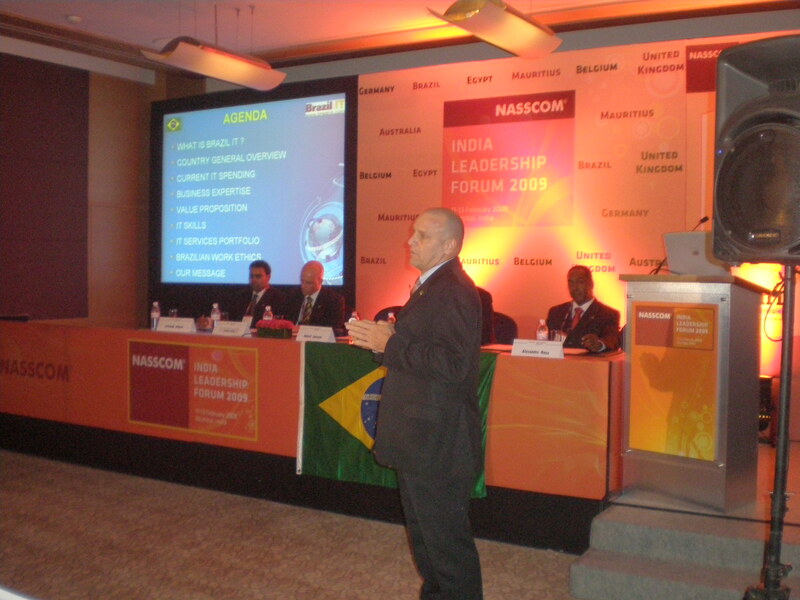 The presentation had the objective to showcase Brazil IT has one of the top partner choices for Indian vendors, specially when looking at Nearshore contracts with clients in the United States. It also served the purpose of presenting tsome of the competitive advantages that the Brazil IT offer brings to the table when looking at value propositions. Click here to download the edited version of the Country Session presentation at NASSCOM India .